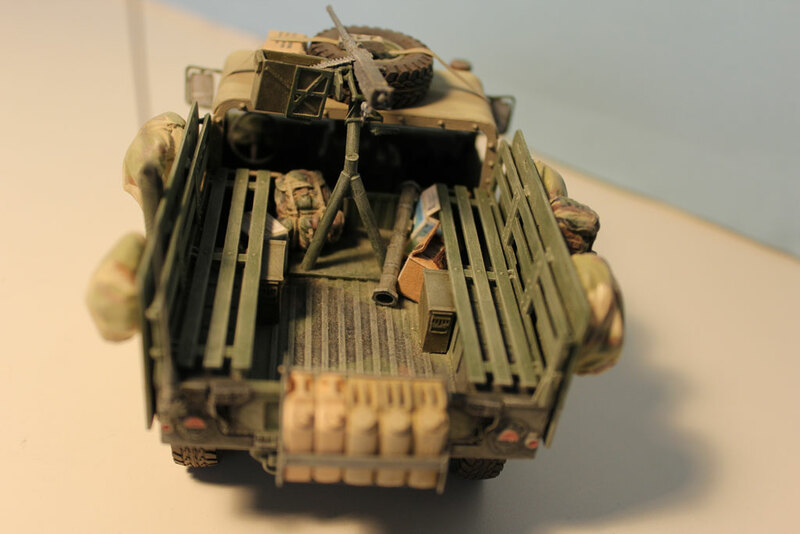 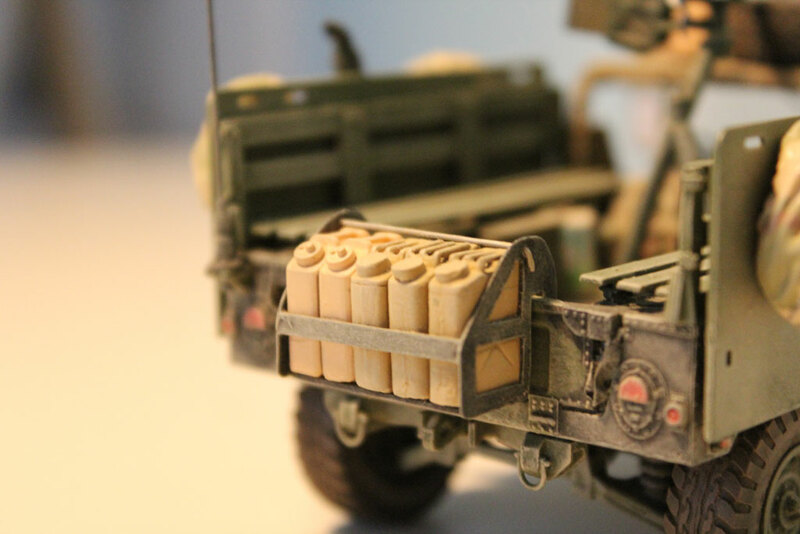 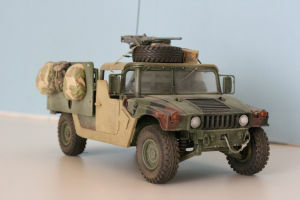 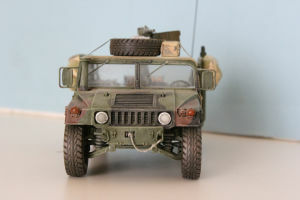 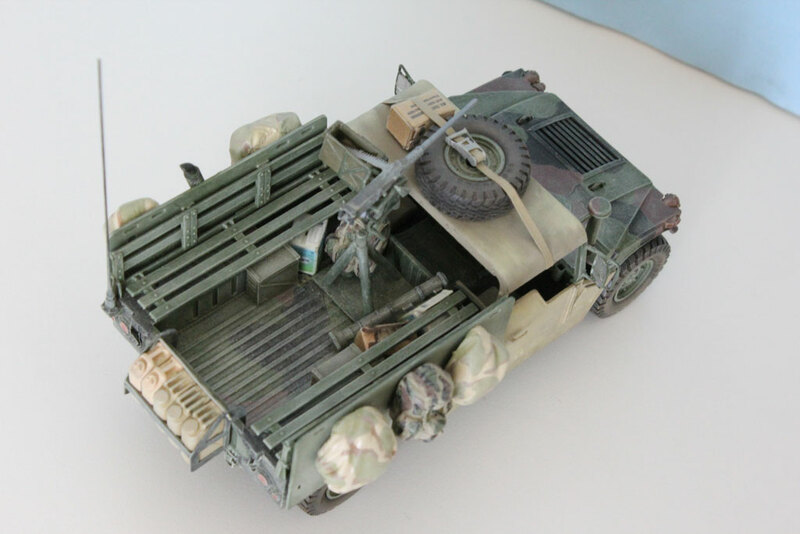 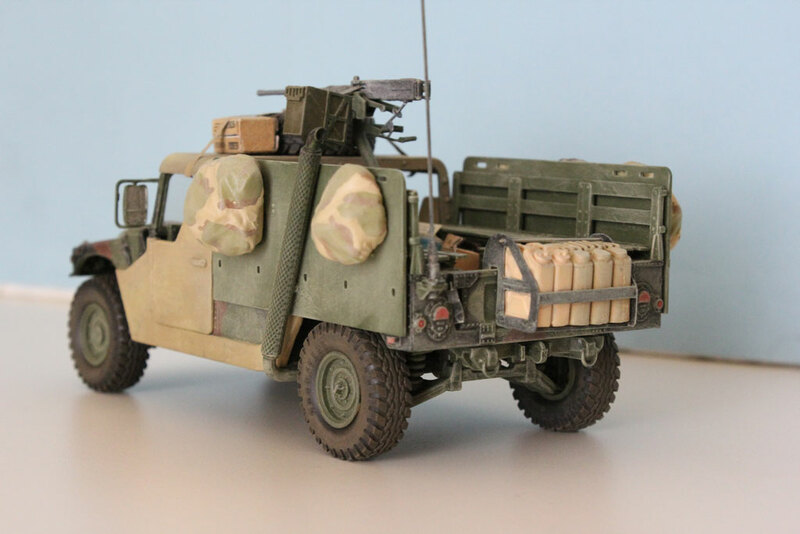 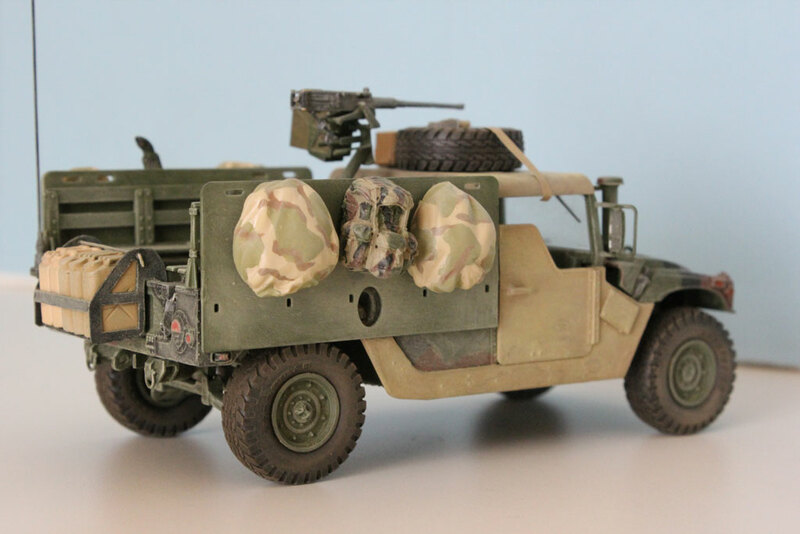 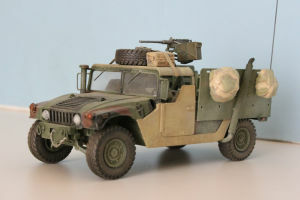 This model represents a M998 IED Gun Truck based on the Academy kit. 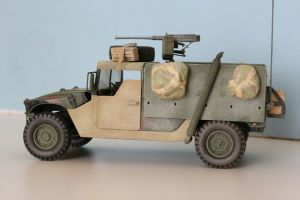 I have got inspiration for the model from pictures in the “HMMWV in Action” book by Signal Squadron. I have built from scratch the machine gun support and the fuel/water cans holder in the back. 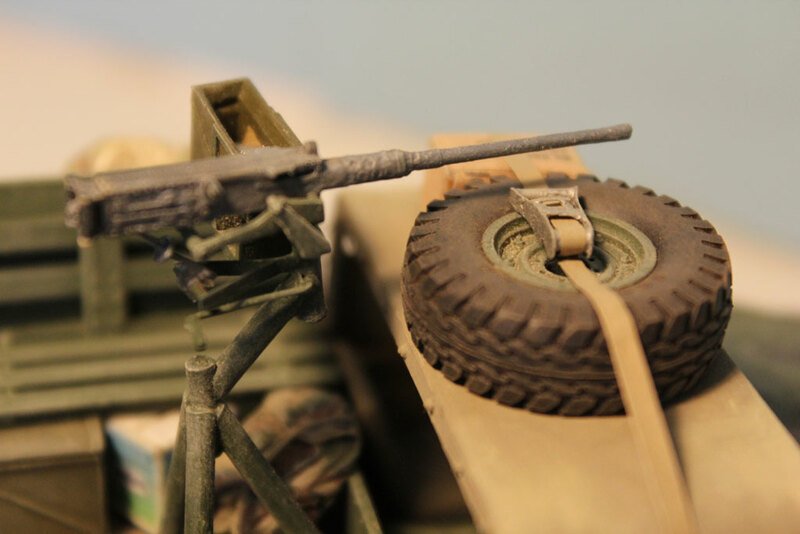 I’m particularly proud of the lashing ratchet that keeps the spare tyre on the roof: it is my first try to build such a piece and it seems to me that it came out quite good. 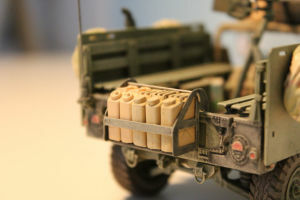 Backpacks are from the Legend kit LF1115 US Army Back Pack Set. Model completed in July 2011.